Lane Walker was established in Sheffield in July 1980 by Robert Lane and Graeme Walker to specialise in retail agency throughout the East Midlands and Yorkshire. Subsequently the company expanded to provide a full range of services for all types of commercial property throughout the Sheffield City Region. The company has acted for a wide range of clients including national and regional retailers, property institutions, banks and building societies, manufacturing companies, public bodies and private individuals. 37 years after its formation Lane Walker still strives to provide clients with comprehensive and informed advice based on its long experience in Sheffield and throughout South Yorkshire. An in-depth knowledge acquired over a number of years helps us to advise clients on the best way to maximise their property holdings in difficult economic times. Robert joined Churston Heard and Company (now part of Jones Lang LaSalle) in Mayfair, London in October 1972 as a trainee, subsequently rising to surveyor in charge of Yorkshire and the North East. In July 1978 he moved to Peter Hunter and Company – a niche retail agency based in London’s West End – as Associate Partner in charge of Agency and Landlord and Tenant Negotiations. July 1980 saw his move north to Sheffield to form Lane Walker, specialising in retail agency throughout the East Midlands, Yorkshire and the North East. Following the construction of the Meadowhall Shopping Centre, Robert became heavily involved in the public/private sector co-operation to regenerate Sheffield City Centre, that led to the formation of Sheffield 1 and thereafter to Creative Sheffield. 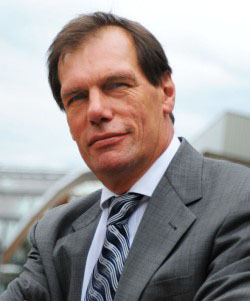 Lane Walker was one of the key advisors appointed to carry out the baseline Study for Sheffield 1. Sitting on SPARC – the Sheffield Property and Regeneration Committee of the Sheffield Chamber of Commerce and Industry – he has continued this active involvement in Sheffield’s future. As a current board member and past President of Property Agents Independent (PAI), an organisation of 26 property firms situated throughout the UK, Robert has access to, and active knowledge of property values and trends outside of his immediate area of expertise. Robert is past chair of the retail forum, which is one of the sector groups advising the Sheffield City Region Local Enterprise Partnership.